Also written 曲屋. A farmhouse, nouka 農家, with a room that housed stables *umaya 馬屋, and an unfloored working area *doma 土間, that projected at a right angle from the *shimote 下手 end of the main living area of the house *hon'ya 本屋, creating an L-shaped plan overall. Hence the name magariya (bent house). The roofs of both rooms are generally thatched and the ridges usually linked, though that of the projecting stable is often lower. Classic magariya are found chiefly in the central and southern parts of Iwate prefecture, in Ibaraki prefecture, and the eastern part of Tochigi prefecture. The term is also recorded in Niigata, Chiba prefectures and Tokyo, in northern Japan and as far-afield as Fukuoka and Kumamoto prefectures referring to a building of L-shaped plan. The best known examples are the so-called nanbu-no-magariya 南部の曲り屋 from southern Iwate prefecture. These were horse-breeding districts and the umaya are large, and often subdivided into several stalls. There is usually an area of doma for domestic use, equipped with a cooking area *kamado 竈, in the main room. The main entrance *oodoguchi 大戸口, is often located in the side of the stable, close to the inner angle of the L. It is not known when the term originated, but examples of the style survive from the latter half of the 18c, and numbers increased dramatically from the mid-19c. 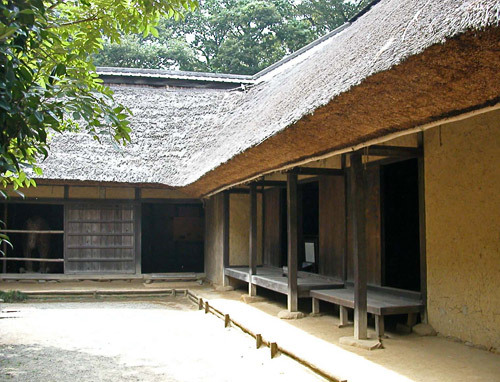 In a number of cases, for example, the mid-18c Kohara 小原 house in Iwate prefecture, the main room was built first as a sugoya 直屋 and the projecting umaya was added in the mid-19c. It is possible therefore that many magariya may have developed out of sugoya during the latter half of the Edo period by a process of addition. 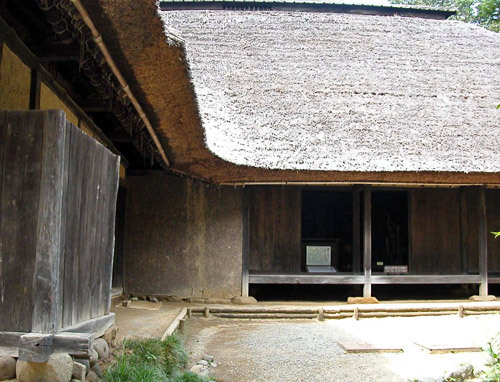 Further south, in Tochigi and Ibaraki prefectures, there are examples of divided-ridge *buntougata 分棟型 houses which became magariya by a process of fusion of their two constituent structures, and such a process may also have played a part in generating the style.